With seventy percent of people losing an adult tooth, dentures are an excellent replacement option. In the past, it was common for people to lose all of their teeth as they aged. For centuries, some variation of replacement teeth have been worn but they weren't very comfortable. Fortunately, modern dental technology has created multiple options that are comfortable to wear and look fantastic. The team at Texas Dental Specialists are experts at helping seniors, and adults of all ages keep their teeth and gums in good oral health. This is the first step to ensuring that complete tooth loss will never happen. Even patients that damaged their tooth or have an oral infection may be able to have the tooth saved with restorative dentistry solutions like dental veneers or crowns. Dentures look great. A cosmetic dentist can make them look like beautiful natural teeth that fit perfectly. Now, it is difficult to tell when someone is wearing replacement teeth or not. They are a quick fix. Many cosmetic dentistry solutions can take time to complete. For example, dental implants can take several months to a year to complete, depending on how many teeth are being implanted. This is not a problem with dentures as they can be created in a lab and worn within a matter of weeks. Comfort. Expert dentists can create the perfect fit that is comfortable and easy to wear. This eliminates concerns of them rubbing against the gums or feeling out of place. Easy to care for. Seniors with additional health issues, memory loss, or those finding themselves in need of caregiver assistance, may find that dentures are easier to care for than natural teeth. Instead of needing to be brushed and flossed throughout the day, like natural teeth, they can be removed at night and cleaned fairly quickly. Sometimes shortening the daily hygiene routine can make a big difference. Variety of options. Full sets used to be the primary solution for replacing teeth, but people didn't always need to have their teeth replaced. Partials are an ideal solution as they can be used to replace one or several teeth in a natural and comfortable way. They are typically secured to the surrounding teeth and can be removed for cleaning or as needed. Affordability. There are several types of dentures, and they come at different price points. This makes them affordable for seniors in all income brackets. Texas Dental Specialists provides patients with the options they need to select the right set of dentures that is affordable and looks great. Losing teeth can be a natural part of life. We recommend that people visit our office on a regular basis in order to prevent tooth loss but once it happens, we are the ideal destination for replacement options. Copyright © 2018. 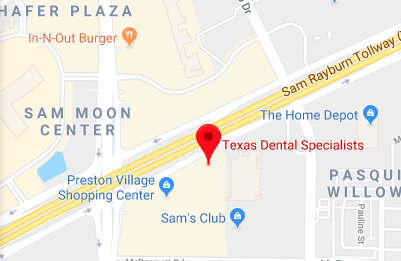 Texas Dental Specialists.